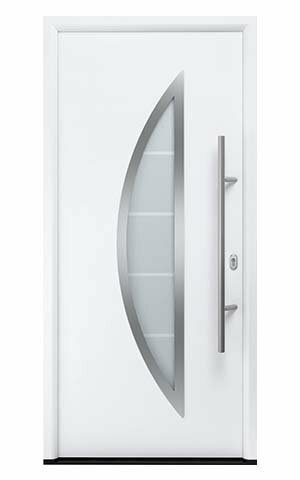 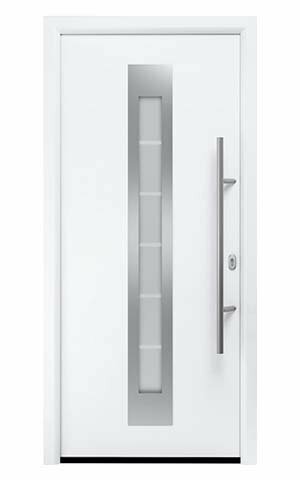 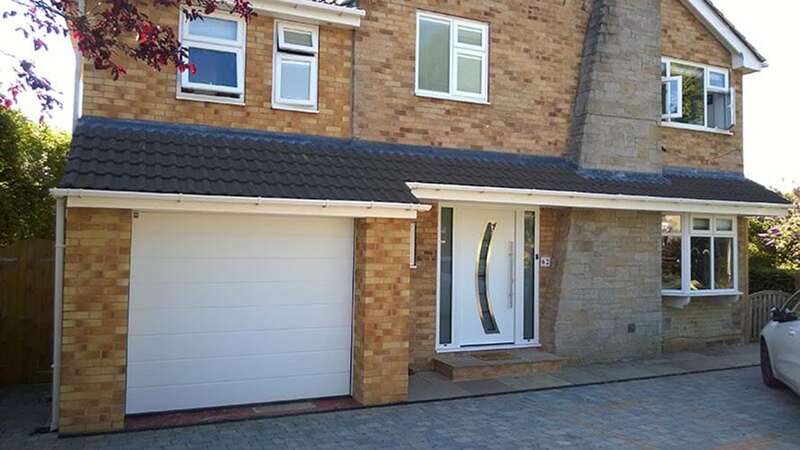 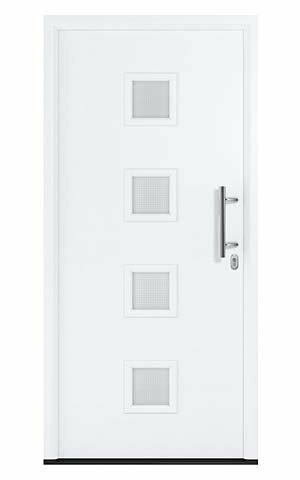 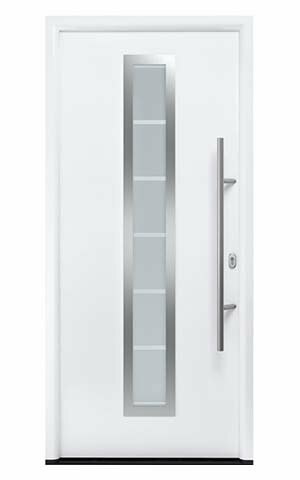 Stylish yet understated, Hörmann Thermo46 steel front doors provide excellent protection for your property. 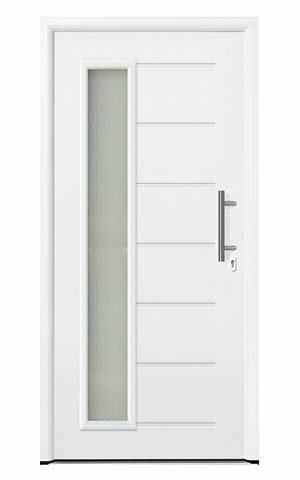 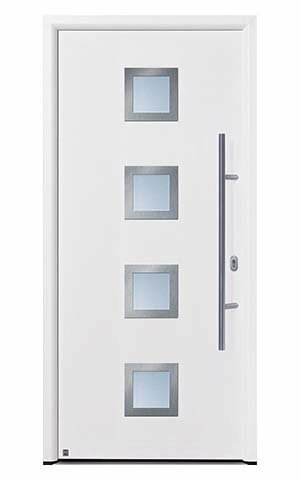 Designed to suit even the most modern home, these external doors will keep the heat in and the cold out, while also offering a burglar-resistant barrier to keep your family and belongings safe. 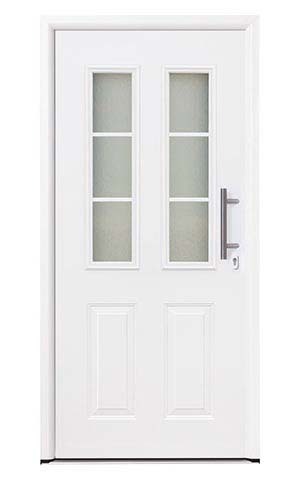 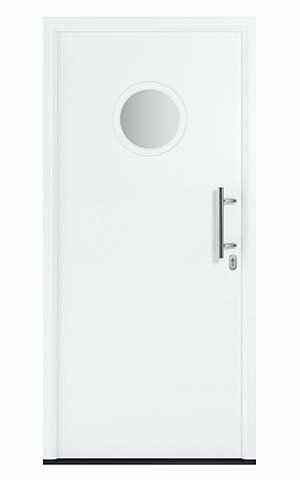 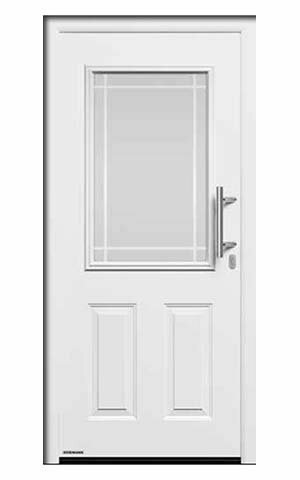 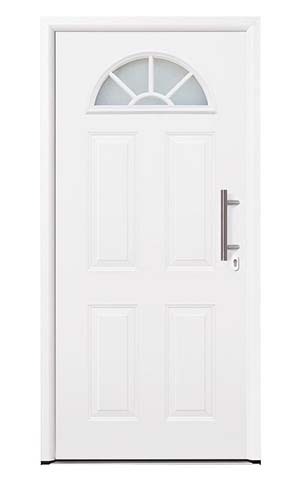 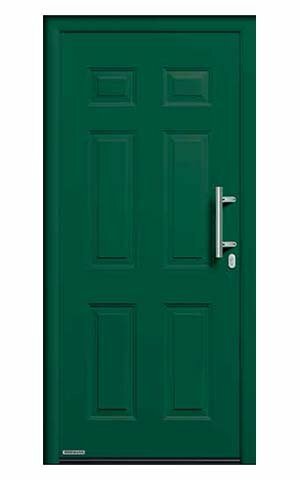 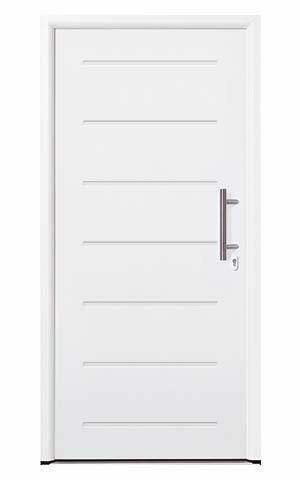 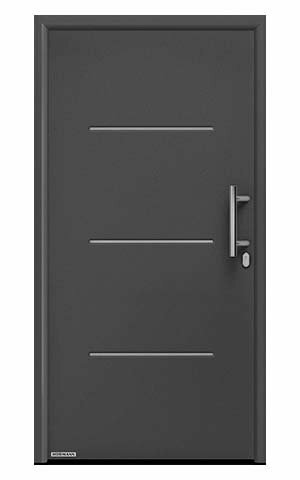 THERMO46 is a 46mm thick solid steel front door filled with PU rigid foam and has no visible leaf profile. 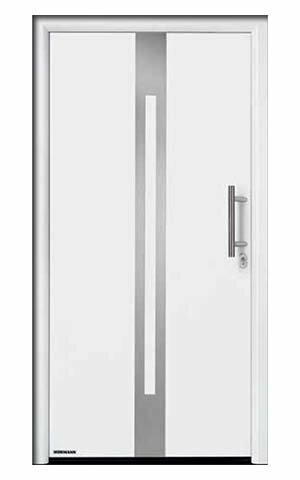 The frame is 60mm thick and made of aluminium. 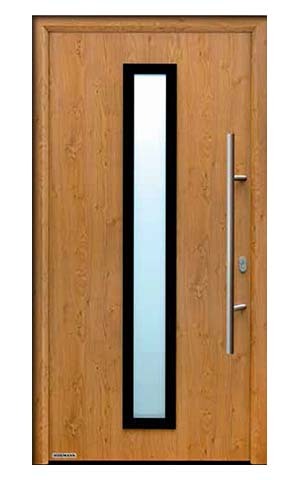 State of the art locking system offering high levels of security. 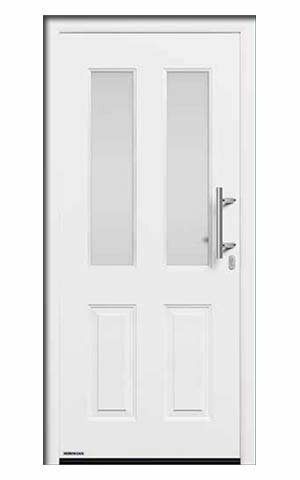 Double seals around the door, provides good protection against rain, wind and dirt. 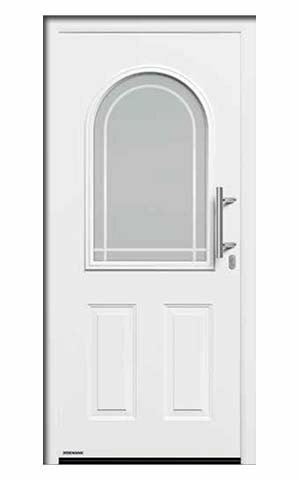 The glazing is double glazed, made from safety glass in case of breakage to prevent injury. 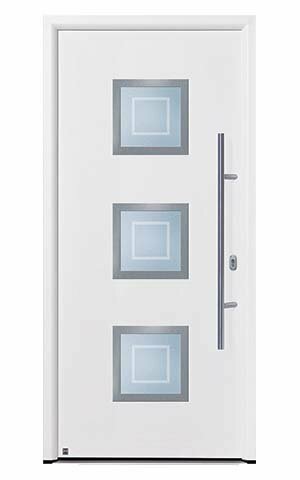 Choose from 13 modern or traditional designs, with further customisable options available through colours, finishes, handles, glazing, side elements and transom lights. 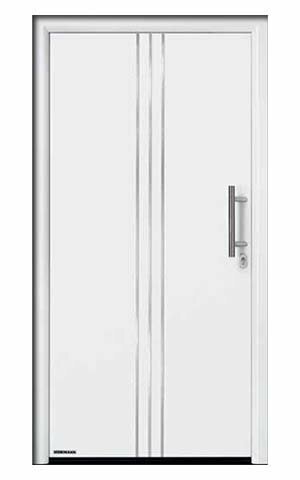 Did you know: The Hormann THERMO46 has a UD value up to 1.1W/(m²·K)? 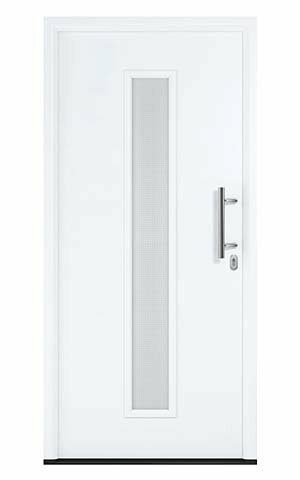 The quality of sound and weather insulation of the Thermo46 can’t be underestimated. 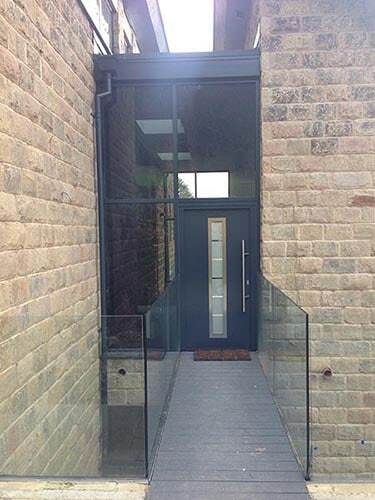 Steel is by nature a robust and durable material, and Hörmann’s expertise and rigorous development process maximises the great properties it offers. 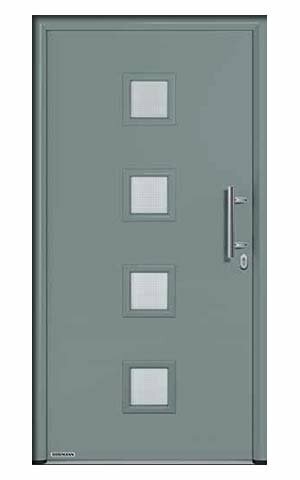 These front entrance doors have been designed to create an unrivalled sense of home security – but while this is essential, you also have a fantastic range of styles to choose from, so you can get a high performance door that blends beautifully into the exterior of your house. 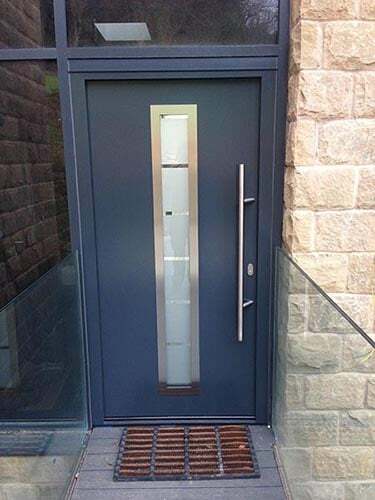 Steel front doors are a great choice for anyone looking for an all-round solution, but if you’re not sure what type of door is best for you, our team are always on hand to offer transparent, honest advice.